It’s safe to say that the dangers of cannabis have long been overhyped by moral crusaders and the war-on-drugs crew. But a new case study suggests that, under the right circumstances, pot can indeed cause serious health problems. According to the new paper, a 70-year-old Canadian man with preexisting cardiovascular disease suffered a heart attack soon after treating himself to a THC lollipop. The study was published this month in the Canadian Journal of Cardiology. It details a 70-year-old man with coronary artery disease, a condition where the buildup of plaque in arteries narrows blood flow to the heart. At the time, the man had been relatively stable for two years and taking medication to manage his condition. Within 30 minutes of consuming a “marijuana lollipop” that he hoped would help him fall asleep, though, the man began sweating heavily, turned white as a ghost, and suffered crushing chest pain. He was taken to the hospital and diagnosed with a heart attack. But while he was successfully treated, he didn’t escape unscathed—his heart function worsened afterward, as did his ability to exercise and carry out daily activities. “Marijuana can be a useful tool for many patients, especially for pain and nausea relief. At the same time, like all other medications, it does carry risk and side effects,” study author Alexandra Saunders, a cardiologist and chief resident in the internal medicine program at Dalhousie University in New Brunswick, said in a statement. According to his doctors, the man’s heart attack was something of a perfect storm. For one, while he had dabbled with pot in his youth, the lollipop was the first cannabis product he had taken in a long time. 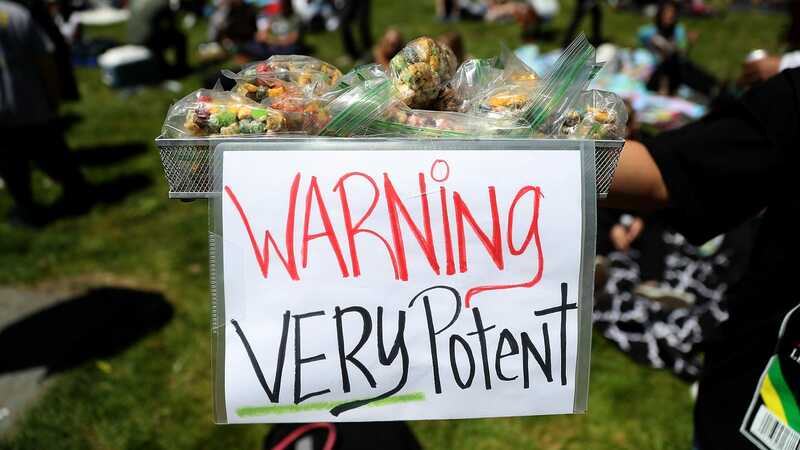 That’s relevant because many products now contain much more THC (the main ingredient responsible for the drug’s psychoactive high) than they did decades ago. The man’s inexperience with the delayed effects of an edible also led him to consume almost the entire thing, giving him a much higher dose of THC than people even now usually take. And that higher dose, coupled with his lack of tolerance, resulted in him suffering fearful hallucinations that made him incredibly anxious. The anxiety then sent his already fragile cardiovascular system into overdrive, likely causing the heart attack. Aside from its anxiety-raising effects, cannabis is known to affect the cardiovascular system directly, including making the heart pump faster for a few hours. But the connection between cannabis use and the risk of heart problems has only been infrequently studied, with no clear conclusions. Two years ago, though, doctors published a controversial case study of a 11-month-old boy who died from a heart condition after ingesting cannabis. The case was touted as possibly the first fatal cannabis overdose ever documented. But the doctors soon clarified their findings, stating that they had only found a link worth studying more, not definitively shown that pot could kill (indirectly, though, the increasing popularity of the drug has probably caused a small but real increase in fatal traffic crashes). That’s about the same tack that the researchers behind this latest case study are taking. “The outcome of this case is important with new marijuana legalization—hopefully with marijuana use no longer criminalized, more research into the cardiovascular side effects will emerge,” they wrote. While the U.S. has been slowly trudging toward cannabis legalization on a state-by-state level, Canada fully legalized cannabis for recreational use last year.